The most common issue that second-hand iPhone users have is the iCloud lock. Let’s discuss what an iCloud lock is and how an iCloud IMEI check plays a significant role in avoiding iPhones which are iCloud locked. iCloud locked iPhone means the device is still linked to the Original Owner’s iCloud account. The only way to activate an iPhone with an iCloud lock is through his Apple ID and Passcode. He can also access the files in his iPhone remotely thought iCloud. If the iPhone is active: Dial *#06# to get your IMEI or go to Settings > General > About. Scroll down to see the IMEI number. If the iPhone is not active: From the activation screen, there will be a little “i” icon on the screen. Tap to that button and it will show the IMEI number. What is an iCloud IMEI Check? The iCloud IMEI Check can determine the if the Find My iPhone is activated: ON or OFF, as well as the iCloud status, if it is OFF, CLEAN or LOST. The information is being fetched from Apple’s iCloud databases. When the Find My iPhone app is activated, Activation Lock can deter anyone from inappropriately using an iPhone. Lost Mode allows the owner to lock the screen with his passcode and display a custom message. Through iCloud, the original owner can control the iPhone even if it is not physically within his possession. This means that if by chance, you unknowingly bought a pre-owned iPhone that is a stolen one, your iPhone can still be controlled by the original owner. He can put it on Lost Mode anytime. It will block you from activating it. Your iPhone will be useless to your unless you have ways to contact the original owner. By having an iCloud IMEI check, you can avoid getting an iCloud locked iPhone in your possession. You should always remember that only the Original Owner can remove the iCloud lock from an iPhone. There is no other legal service that can removal the iCloud lock, so you should never fell for online advertisements claiming to remove iCloud lock. Below are sample reports created from Apple GSX databases. 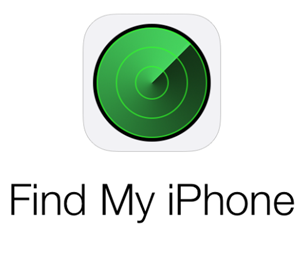 If the Find My iPhone is activated, it will be shown as ON. If it is not active, it is shown as OFF. On the other hand, the iCloud status has 3 possible results, OFF, CLEAN and LOST. If you want to know more details about an iCloud IMEI Check and other IMEI checks, you may read it here. Again, beware of the iCloud removal services you see online. There is no service that can actually remove the iCloud lock from an iPhone. If you got your hands into an iCloud locked iPhone, the only way to use it is to connect with the Original Owner and request him to remove the iCloud lock.